Coinciding with the home video release of Tinker Bell and the Great Fairy Rescue on Tuesday, Disney's playful pixie received a star on the legendary Hollywood Walk of Fame. In 1953, Tink made her Disney debut in the animated version of Peter Pan. She was originally drawn by Disney Legend Marc Davis, who, despite rumors to the contrary, did not pattern her after Marilyn Monroe (Monroe's star ascended well after Peter Pan was released). 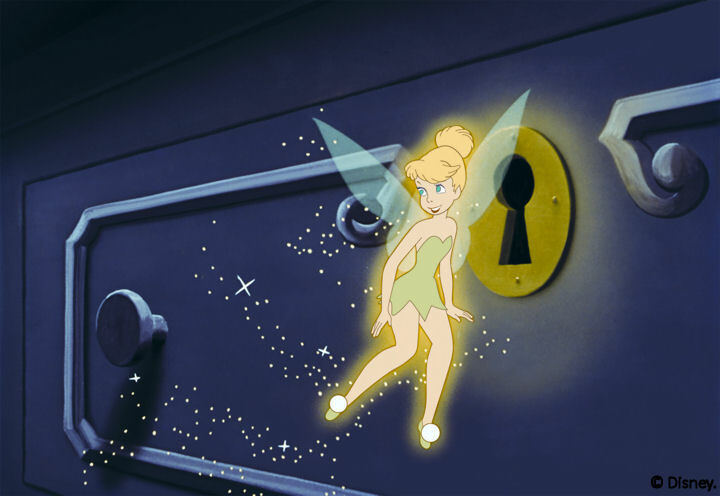 Tinker Bell went on to become the iconic symbol of Walt Disney's Wonderful World of Color and a cherished fireworks starter at Disneyland and Walt Disney World. 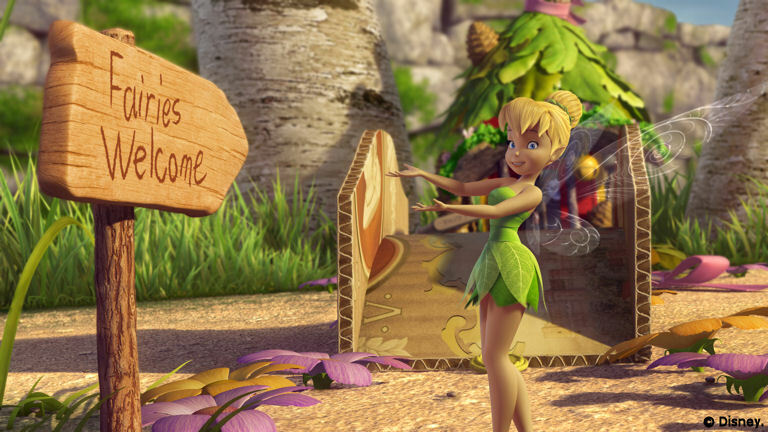 In 2008, Disney began a series of direct-to-video movies starring Tink and her friends from Pixie Hollow. The Disney Fairies franchise now includes a wide range of books, toys and other consumer products and multimedia. 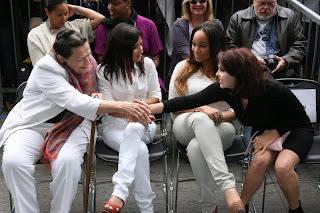 On hand for the unveiling of Tink's star were members of the voice cast of Tinker Bell and the Great Fairy Rescue, including Mae Whitman (Tinker Bell), Pamela Adlon (Vidia) and Raven Symone (Iridessa). Also present was Marc Davis's widow, Alice Davis, herself a Disney Legend who spent years with the company designing costumes for attractions such as It's A Small World, Pirates of the Caribbean and Carousel of Progress. 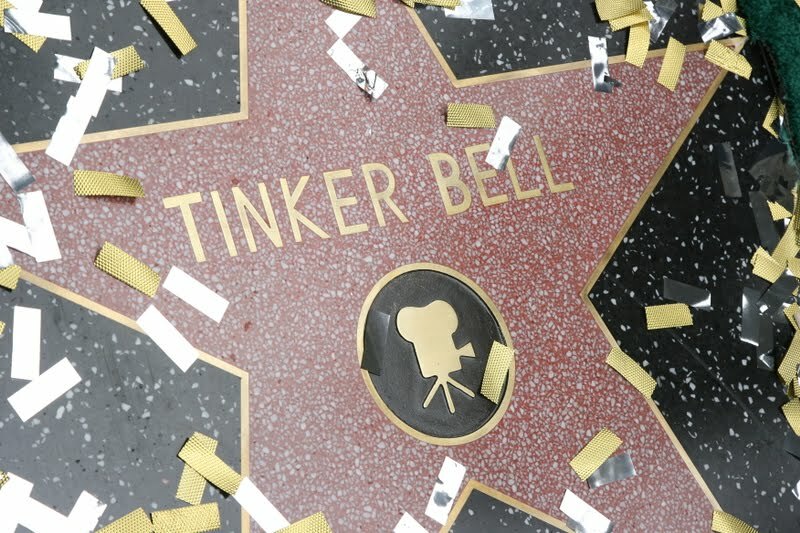 Tinker Bell's star is adjacent to the El Capitan Theatre on Hollywood Boulevard and is the 2,418th star on the Hollywood Walk of Fame.